One of the biggest SEO opportunities — on a page by page basis — that I see digital publishers and website owners miss out on is their page images. Image SEO isn’t just about having images show up in image searches, it’s about having those images contribute to overall page rank by making pages faster and offering more information about how those images relate to a certain subject a searcher may be looking for. Below, I’ll show you how to compress and optimize images so that your individual pages can rank higher in organic search results. These image SEO tips are easy, free to do, and neglected — to some degree — on 99% of digital properties; including some of the biggest sites on the internet!!! Again, I will spare my readers all the caveats I have about the term “SEO”. I hate it, and it has become guise for a lot of wasteful spending; however let’s just move past it and recognize that when I say SEO — in this case — I’m talking about improving pages for organic search visibility and ranking. If you want to learn more about SEO auditing your entire site by yourself. I wrote a super-detailed post about already (use the link). Pagespeed — Most sites are failing here by relying on plugins or other tools that are simply failing at compressing images properly. Image search — Ensuring images can appear in image searches on popular search engines like Google. I made the claim a moment ago that most sites are doing this pretty poorly. I stand by that statement. Very few sites are properly adding images to pages in an optimal compression for web use. This means pagespeed, UX metrics, and SEO are potentially affected by this. Most of the time, the image designer (or image source), webmaster, writer, and publisher are on different pages here. In the cases of small owner/operator sites, this could potentially be the same person. Nevertheless, the problem is the same. Most sites do not save images properly for the web and rely on insufficient plugins or tools to compress images (or don’t compress them at all). Above, you see a common image compression plugin for WordPress. It compressed all the images in the library of this site; however, if you run the pages through a Google pagespeed test before and after the tool is used you discover the images were shrunk by less than 10%, and in many cases, these images need to be reduced by 90%! How do you fix these images? It’s actually pretty easy. The images need to saved for web use. You can actually save most files in natural JPEG, GIF, or PNG formats using a tool like Photoshop. Simply grab the photo before you put it on a page, and import it into Photoshop, then go to File > Export > Save For Web. It will have some general settings for you to select, but for the most part, I try to compress as much as possible without ruining quality. It is reccomended you save as a JPEG as that file will typically be much smaller than a PNG of GIF file. You can download images from pages on your site now and then re-save them for web and likely improve pagespeed. But, I don’t have Photoshop! That’s fine. You don’t need it. There’s another tool I really like and it’s totally free. The tool is called Optimizilla and allows you to automatically upload images that it will compress into very small formats. Want to go even smaller than that? It has some manual settings that let you degrade the quality in the name of size according to your specifications as well. Almost all sites can benefit from better optimizing their images. If your homepage is the landing spot for a lot of traffic, I strongly suggest getting it as lite as possible. Maybe try it out and see how it goes. Alt image tags for image SEO optimization kind of feels like those old world keywordy SEO practices. However, they are still a part of most search ranking algorithms because they help give crawlers context regarding an image. Alt image tags are a way to tell search engines what an image is about. This is an opportunity that sites are missing out on… big time! A lot of sites simply let the image title become the alt image tag. This rarely is the optimal choice. Above, you can see a blog I found that has an image title as the alt image tag. The blog is about Display Ad CTR’s. The image title in this case, is a file name that is not going to add any Image SEO value at all to the page. It could not be easier to go through images on your most popular pages (or the ones that have the biggest search ranking opportunity), and update alt. 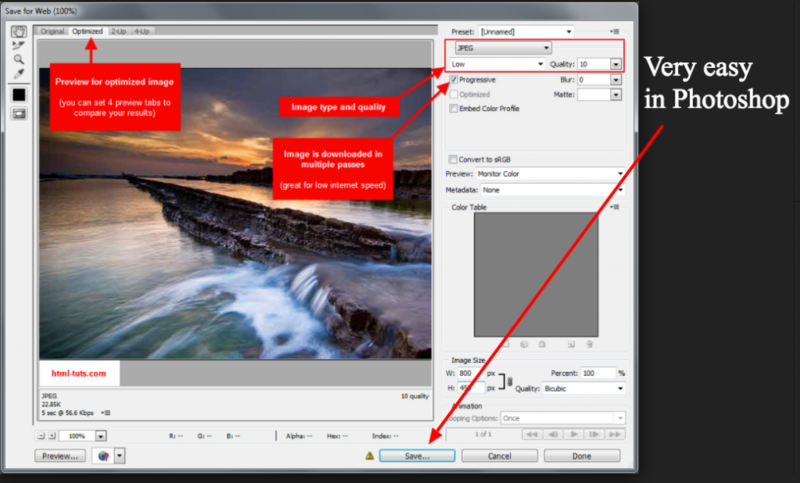 image tags with the keywords that associate with what you want that page to rank for. Doing this on your top pages could yield incremental results that could pay off big time down the road. This is the last one and the one people generally care the least about; however, images searches are growing in popularity and can be a great way to drive some new users to your site. Outside of adding targeted alt image tags to your images, another way target image SEO is to physically save the images with a file name that is relevant to the image. This can help when search engines crawl physical images. Having an image name Untitled1 won’t tell anyone much about the context of that image. 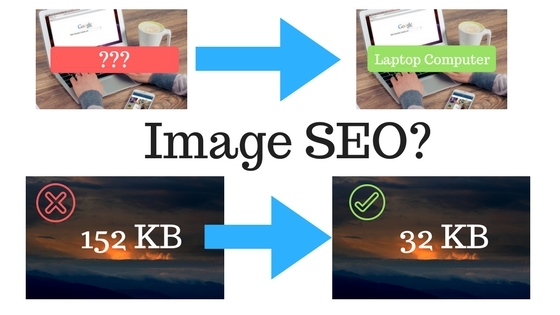 Image SEO is really simple and anyone can go in and make these changes. Unfortunately, most sites are failing to do one or two of these things properly. These tips are not going to contribute to a 250% boost in organic traffic, but they are best practices that will contribute to better overall search performance. Getting these things right can pay big dividends over time. Have additional questions, need me to dive deeper? Leave me comments below and I’ll respond. Tyler is an award-winning marketer, SEO expert, successful blogger, and keynote speaker. He has composed content for some of the world's top publications and has over a decade of experience building businesses in the digital space. 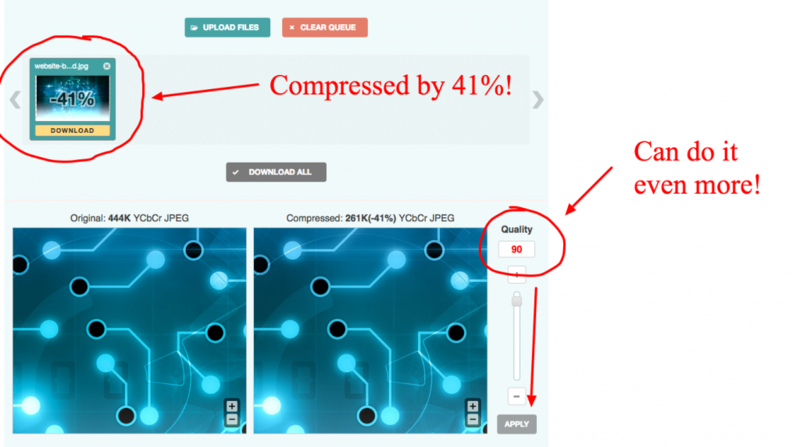 Tyler is the current Head of Marketing at Ezoic and serves as an SEO and marketing expert for start-up competitions across the U.S.
Hi, Great post but you should add ShortPixel and Imagify as a Image Compressor Plugin in your article. Both are doing great job but I preferred ShortPixel over Imagify. Both are free to some level and small business owner or blogger never exceed their free quota. WIDTH=”425″ HEIGHT=”300″ to make the end-user’s browser reserve that much area on their screen before and whilst the image loads, so the rest of the page is stable. very useful article, out of all the aspects of on-page SEO that I normally give attention to images are not one. The reasons you put forward here are going into my toolbox now that you have highlighted them. Getting into Google image search especially as I can see how this would be a great advertising channel that I have previously overlooked. Many thanks! Optimizilla provides a much easier way to do this. It’s a free online tool as well.